In many of my favorite games, there are minor dull moments. Perhaps going through a section just talking to NPCs while you get to the next area, or a stealth section that's too easy for any real challenge. But the memorable parts soar above and beyond what expected, leaving me satisfied as a player. 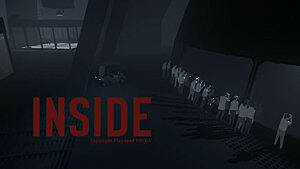 In this world, with its awe-inspiring visuals and surreal sounds Playdead's Inside does something that almost no game can achieve -- there is actually never a dull moment in the game. 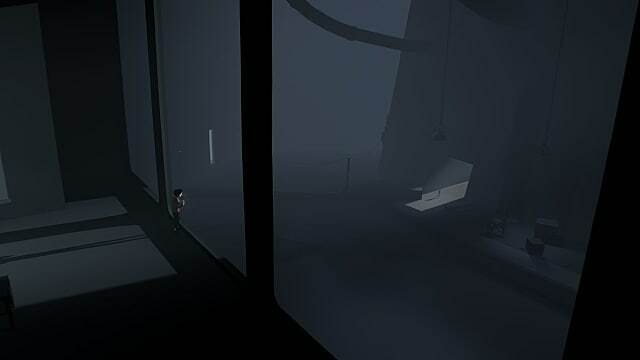 It starts off similar to Limbo, Playdead's previous title from 2010, with you controlling a young boy in a forest. 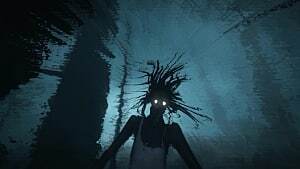 But this time around, there's a major difference- your character goes on a journey into horrific abstraction, one that brings me closer to feeling like I'm in some terrifying dream I can't awake from. This is much more complex than its predecessor in its themes -- it throws you into a world where scientific exploration has ruined animal life, and made a horrifying dystopian society. It reminded me very much of Aldous Huxley's Brave New World, with people living in a state that you know has no chance of truly being changed. When the ending arrives, no amount of plot-twist guessing will save you -- it's ridiculous, it's insane, and you won't see it coming. ...is thanks to the fantastic, perhaps flawless art direction for the game. The lighting effects of the shadows, and stark contrast between your character's red shirt and the bleak grays that surround him. Character animations are incredibly fluid, from the dogs, to the boy, even down to the more demented things that wait as you progress. It all gives a shocking sense of realism, even though the people don't even have faces. Like I said, it's an oddly striking balance that makes you feel as if in a dreamscape. But what makes this so much better is that the animations also work so well with the controls; that every movement I made was so perfectly responsive. 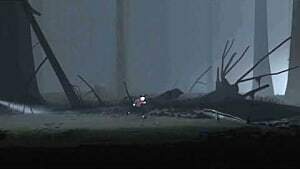 Everything flowed well, but not at the cost of making good gameplay for platforming, something that was an issue for me when playing Limbo. But it doesn't stop there, as the art direction actually also fixes all of my other minor complaints with Limbo. For instance, in that game, if you had a box fall on you, the kid will die because of the blunt force trauma to the head. 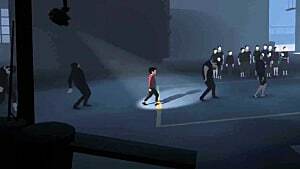 But because Inside is set in a '3D world' now, the boy simply steps into the foreground to avoid injury. This is just one example, but the small quality of life improvements are so important to the flow. Puzzles are also very intricate, adding new elements to a mechanic; as long as it can be creative. The level design so concise that you always use something to its fullest before leaving an interactive object behind. They also lead to my only problem with the game- dying is a common thing when solving them, but the idea behind many of them is that they want you to fail on the first try, see the boy meet a gruesome fate, then try again. 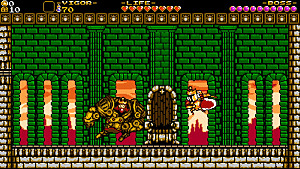 These become more streamlined if you go back into the game again, as you've gained more knowledge of the level, but it creates times where trial-and-error takes hold. Because of the context of these puzzles, they come to life as stealth, action, and set-piece moments that fuel back into the game's narrative, and vise versa. 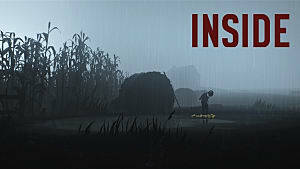 Inside, on my first playthrough, was 4 hours long, then my second two times were only 90 minutes. 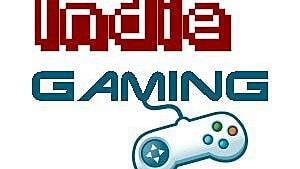 It's not a long game, so the $20 price-tag might scare off more frugal players. 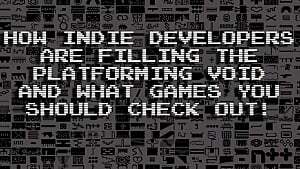 But the game is dense in its creativity. Everything that matters comes back into itself. The story, the puzzles, the action, the presentation; they all flow so seamlessly back into each other that it doesn't just feel like a game anymore. Inside fulfills Limbo's aspirations in becoming a seamless, near-flawless experience. 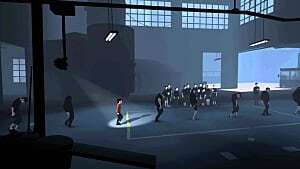 It took six years to craft this game; but just from its mysterious beginning to a literal jaw-dropping ending, Playdead has made a true work of art. No missteps, no mistakes. Any way you look at it, Inside knows what it wants to be, while succeeding on nearly every level.